I'm shocked. I've subscribed to Linux Journal for almost 20 years. I work in a business geared for kids. I fix a machine with a large battery, and make web sites orientated for commercial success. I've tinkered with Linux since 1994 (could it really be 20 years? ), but apparently this makes me suspect. Check out this article on Slash Dot. And don't miss this one from Linux Journal. The NSA watches Linux Journal readers because it is an extremest forum. Gosh, the last article I read was how to count the number of days between dates. Seems innocent to me. I'm going to take this as flattery. I'm not special, but this type of attention makes me wonder. I think I'll sign up for a few more years' subscription. I've had a fascination with encryption since I was 12 (1973). When I was 12, I started a code club at Junior High School. In those days, we used Pig Latin, ciphers, and other types of hand codes. Only one other person showed up for the club meeting, but no one else understood the need for encryption back in the day either. They all thought you merely didn't let anyone else see your written output. That was true then, but now, everything I write is up for grabs in a public venue. You might say email is private, and generally you are correct. There is so much email that no one ever reads anyone else's email. However, computers on the Internet that serve mail can scan every email as they go through. If an email has the right words inside, then, according to Urban lore, your words will be read, or you will be put on some terror list. My family, which has more than its share of brilliance associated with accompanying mental instability, has at least two electrical engineers who don't use email or Facebook due to security concerns. 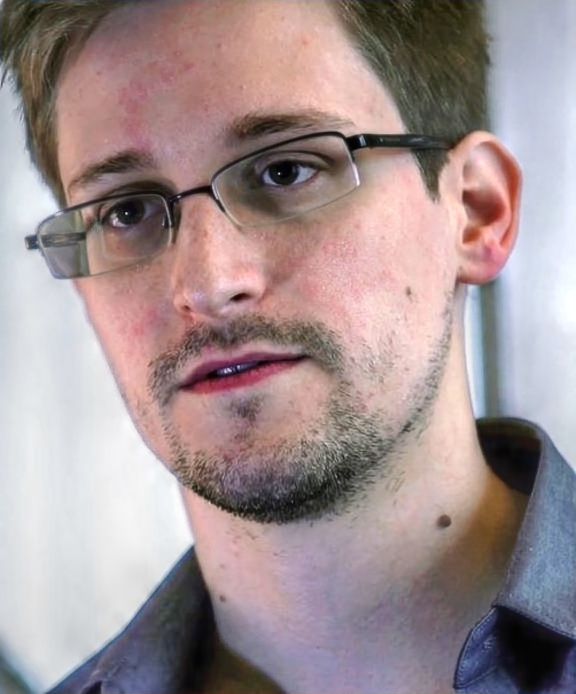 Prior to Snowden, everyone had a fantasy that computers were secure most of the time. Back in the day, mail was secure too. Who could remember what went through the Postal System? Today, everything gets logged. With scanning, I am sure postcards are read as well. For all I know, there could be a way to read what is inside envelopes too. The key concept here is everything we do is inherently insecure. The insecurity needs to be met with better means of communicating via computer. I suppose we could mail each other usb sticks, but is that really a practical option? Or possibly we could put usb sticks in walls and other immovable objects for people to hook computers into. I would still want to encrypt the files on any usb stick. That way I would be able to ensure only my intended recipient read the message, or used my files. While a lot of encryption has back doors, some must still work well. Police report encryption being a major block to accessing information on a hard drive during some of their investigations. Still, though, odd stories persist, like whatever happened to TrueCrypt? Suddenly one day, the project closed shop and told readers how to migrate TrueCrypt information to other encryption software. When I install Linux, most distributions (I'm thinking Fedora and Mint) let me encrypt my hard drive. I've no idea how well this works, but I comfort myself with the thought that if I lose my laptop, most everyone won't be able to read the information there. Same with parts that wind up in Ghana, or somewhere else. So long as I have information someone else wants, then I am at risk that my information will be read by others. I have a few ideas that may help, though. Keep a computer that never connects to the Internet. Use this computer to decrypt and encrypt items you wish to keep secure. Pass usb sticks by hand and then read them on your computer that doesn't connect to the Internet, or use Cold War drop methods. Mail usb sticks in the mail inside a bank deposit bag so you can tell if it was disturbed. Consider Hush Mail, or sign up for a foreign email service. Watch services that demand your cell phone number or other identifying information. You might have to use your VPN to appear you are in another nation. Use DuckDuckGo, not google for web searches. Watch what you search for on a computer traceable to you. Be paranoid. Anything commercial likely has back doors. PGP is no longer prohibited from export which means interested government parties must be able to read information encrypted this way. In general, these thoughts may or may not work successfully. In any event, adding layers of confidentiality should help keep information secure from most unauthorized readers. If you don't keep everyone out, then you will be able to at least cause difficulty for those who are trying to access your confidential information and communications. I have too many interests to just write a Blog about technology. Once you boil down compters to their constituent parts, all that is left is how we use them as tools. Computers, mainly, are just office tools, methods to consume media, or gaming platforms. There's plenty more going on in the world than just what piece of silicon is used to create and consume media. My interests lie in Innovation, macroeconomic effects on microeconomics, business, and how people interface with the world. Our world is changing as I write this. The latest trends include an economy that should be out of recovery into expansion, political unrest, and war. All this makes for interesting Blog posts and opinions. The wide expanse of material means that this blog will shift more into MicroMaturity being a cultural problem, rather than simply the maturation of a sub-type of technology. Follow the key words, and read what interests you. Today, for the sake of variety, I am writing my post on a Galaxy Tab 3 10.1. The fact I can use this to post to my blog indicates the market has changed dramatically. The days of the personal computer are truely numbered. Compared to my usual rig, equipment is simple. Rather than get the right key board case, I got one off EBay for $20. My $20 keyboard doesn't fit quite right, but for the price I will cope. I brought the Tab and the keyboard across the country twice, and it worked out well on the road too. I can type quite well on this. This makes me think the age of big computers is drawing to a close, although I couldn't perform my professional writing this way. If I get sick of typing, I can always talk to my Tab. This method works better than typing sometimes, but after 35 years of typing as I compose, I'm thinking I might be stuck in the typing habit. I have a hunch this type of keyboard would work well on my phone too. (My phone has more power than the Tab, being a Galaxy Note 3). I like my big computer. I have an old gaming rig from 2007 +/- to which I hung two video cards and three monitors. This rig is a Godsend to research and writing. Each screen has its purpose: Source Documents, Notes and Cuts (I save all my edits because I cut too much sometimes), and newly written work. This worked well through PhD coursework, and innumerable reports on business analysis and feasibility studies for large athletic complexes. I use an old gaming keyboard (courtesy of Goodwill bins for $15) which I really like. I don't like my Tab keyboard as well because it is a little small (I am a short Giant, so big keys are a must). Sometimes I hit two keys at once, but I'm finding practice makes perfect. Other bloggers report using apps can help the bloggin on the tablet process. On Tech Gyo, the author thinks that using an app to acces his desk top computer would help. Good idea, but I found that technique lacking because of the problem of interfacing a touch screen with a regular competer. This method works well, but I think it is time consuming compared to the regular method of writing. In all fairness, I would get faster as I got more used to this method. At any rate, happy blogging to all, and this use of content production puts another nail in the coffin of big desktop PCs.